Here comes the weekend roundup where we never let the rain dampen good times. It’s summertime down at the Byward Market’s Must Kitchen 41 William St where a custom Mojito features every weekend. Looking for an afterwork cocktail? Head over for the refreshing Peach-Mango Mojito today. If you’re as crazy as I for the Footie – and looking for a good venue for viewing – give the Lunenburg Pub a try. They promise to air the games, the surrounds are comfortable, the craft beer selection is extensive while the food and prices are both appetising. Spain against Netherland’s today is sure to be a cracker! I’m going for outsiders the Black Stars (Go Go Ghana) who are in the killer group and probably won’t last long but that’s okay cuz London was my second home. Go En-grrrrr-laannd! 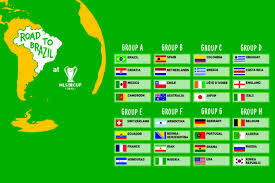 Clearly I’ll be actively following the World Cup to the end – join me! The NCC Gatineau Beaches open this weekend so consider a dip to mark the occasion. On Friday and Saturday evening you get a Pay-What-You-Can dance show in Strathcona Park with Machina Nuptialis, from dance troupe Corpus. Strathcona Park 8PM. Friday & Saturday the Festival Franco-Ontarien, head-quartered in Major Hill’s Park with artists, musicians and Kid-friendly activities it’s a local festival sure to entertain. We’re looking forward le Pique-Nique Africain Saturday noon-4PM & Pierre Lapointe who takes the main stage Saturday evening at 7PM. Further afield – but lets face it nothing is more than a bike ride away in Summertime Ottawa – Westfest gets underway in Westboro/WelliWest/Hintonburg. This free music fest is forever a crowd pleaser so grab two-wheels and get your fun on folks. Lots going on this weekend so buckle-up for fun. Pick of the weekend has got to be Sugarfest at North America’s only urban sugar shack – that would be the one in fun-loving Ward 12 of course! Thursday – all day – get 50% off at Menchies in the Byward Market to celebrate their first anniversary. Given the lovely weather a family walk rewarded by dessert likely won’t go amiss this evening. Later tonight in honour of World Autism Day (yesterday) the Lunenburg Pub is holding a fundraiser for Autism Speaks. The organisation that promotes the safety and well-being of those with Autism is Pay-What-You-Can. This promises to be a great event with loads of live music and the opportunity on a night out to contribute to a great cause. Interested in advances in autism? Check out our recent post by Professor and Autism Expert Laura Cavanagh. Opening Thursday and running until April 7 it’s the Edible Arctic Festival at the Museum of Nature featuring the creative culture and vibrant lifestyle of the Arctic North. Much of the Museum’s collection is from the North yet little focuses on the life and culture – this exhibit of art, music, food and activities explores that human side. Thursday night is free from 5-8PM and the schedule includes a movie at 6:30, storytelling, crafts and the Northern Lights! Friday afternoon Chef Christine Cushing will be doing a meet and greet with Olive Oil tasting at La Bottega Nicastro. Friday is opening night for a intriguing new production by Vacant House Theatre. The Anger in Ernest and Ernestine is their inaugural production and the play set in a basement apartment is literally set in the cramped basement confines of the Backpacker’s Hostel on York St. We’re looking forward to reviewing this production shortly – let us know what you think! Over at Ritual on Besserer St it’s Toronto indie 5-piece The Wooden Sky supported by Dusted and the Wilderness of Manitoba. Saturday is the Family bike ride to Vanier’s MuseoParc for the annual Maple Sugar Festival. The bike ride is a joint initiative put on by the Vanier & Overbrook Community Associations spearheaded by Sarah Partridge of Vanier a Velo / Vanier Cycles. Of course all comers – cyclists, pedestrians, public transport and drivers – are very welcome to the MuseoParc’s Sugaring Festivities… and did we mention FREE PANCAKES!! Saturday night have a top meal or a quiet drink at The Albion Rooms or mix it up with the Brooklyn DJ Duo The Underachievers at Ritual. 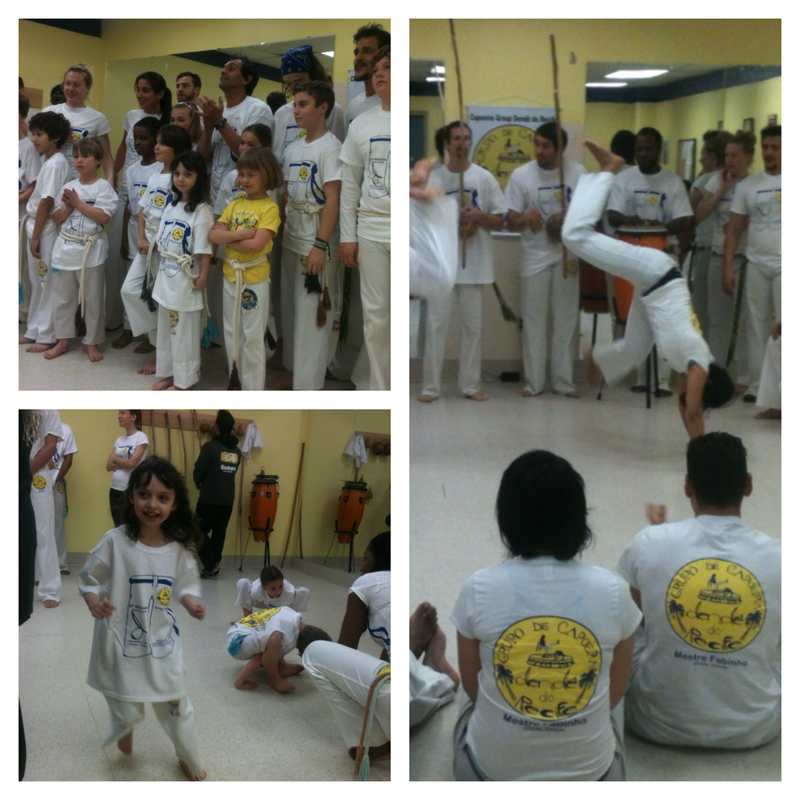 Sunday why not register yourself or your kid at a Capoeira class at neighbourhood studio Dende Do Recife – offering a 20% discount to all Sandy Hill residents. No better time to get fit whilst being immersed in this ever-more popular Brazilian cultural experience. Weekend RoundUp: Live Local… it’s what we do. Ok we always strive to live local – it’s why we love our urban hood – and this weekend it is easier than ever thanks to all the great merchants and artists kicking off the good times. 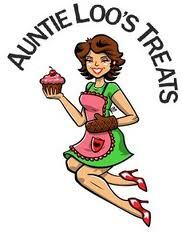 The event of the weekend has got to be Auntie Loo’s Treats Grand Opening – YES she is HERE – this Saturday but first …. This is the final weekend for the Extremely Short New Play Festival. Ten plays under 10minutes each and they are all really good. Seriously, you should go. Nightly at 8pm til Sunday @ArtsCourt Theatre, 2 Daly Ave.
On Friday we keep it local again with Customer Appreciation Night at A Curious Shop. This wonderful boutique is co-owned by a Sandy Hill creative and is jam-packed with one-off, unique clothes and accessories that you simply will not find anywhere else! If, like us, you keep it fresh & fun then this is the shop for you. The evening promises tasty treats, fire spinning, discounts, manicures and more. It’s all happening at 159 York St from 5pm. Looking for a little hip hop to round off your Friday? Check out Rwandan-born Canadian artist Shad headlining at Ritual Nightclub with Vancouver’s We are the City and local Ottawa band Zoo Legacy. Friday at Ritual Nightclub 137 Besserer st.
Saturday it’s the event of the weekend! Have you heard? There is a new yummy scrummy bakery and they’re throwing a launch party! Saturday 11am-4pm head to Auntie Loo’s Treats to discover just how delicious vegan cupcakes, scones, whoopie pies (and more) can be! The event poster cautions us to wear loose pants as there will be plenty of samples to whet your new local addiction. The Rideau Valley Roller girls are putting in an appearance, there is a BBQ and neighbouring businesses are joining in too. See you at Auntie Loo’s Treats 112 Nelson (across from Loblaw’s parking garage entrance) Unit101 C.
Finally on Sunday prep for party season at the Ottawa Vintage Clothing Show. In keeping with our love of all things unique and inventive we are sure there will be both quirky and glamorous finds for you to discover. Ottawa Convention Centre 10am-5pm.